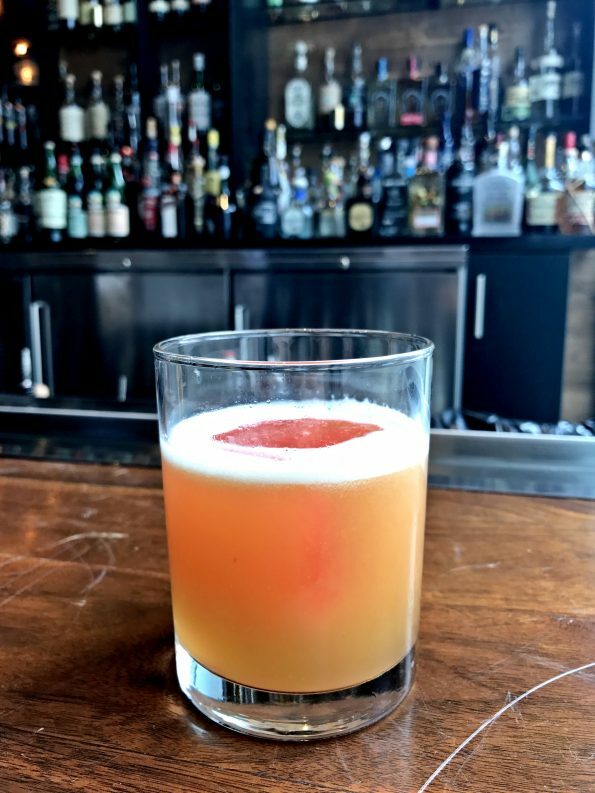 There is a new face behind the bar at Blue Hound Kitchen & Cocktails in Downtown Phoenix, and he’s just released an impressive menu with 11 original, innovative cocktails (while also keeping some of the ever-popular Blue Hound favorites). Hailing from the East Coast, Phil Clark is a veteran of the craft cocktail scene, most recently hailing from Washington, D.C., where he led the bar programs at Brabo by Robert Wiedmaier, and the James Beard-nominated Mockingbird Hill. 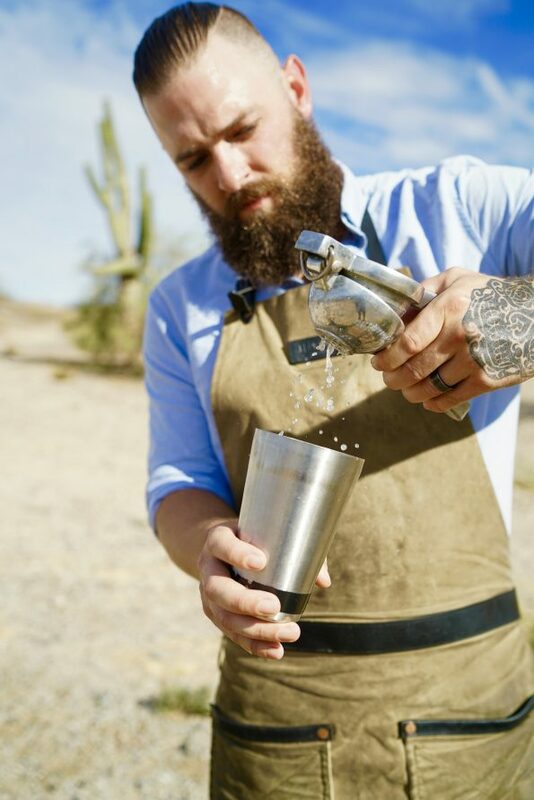 Phil Clark brings a research-driven methodology to bartending, as he first focuses on putting pen-to-paper in order to map out the flavors and structures of a cocktail before actually mixing it up. In this way, he is able to identify where he can challenge traditional recipes and compositions by substituting his own, unconventional ingredient choices. Phil is all about sharpening a cocktail and making it both more precise and nuanced, in order to give people something they think they know, but with a bit of a new surprise. After just a few weeks on the menu, Phil’s “Junglebird” has taken over as the most-ordered cocktail, knocking the four-year reigning Lawless from the top spot. Boba Tea ($12) – Black-tea infused Titos Vodka, chai vermouth, coconut milk, cinnamon, tapioca pearls, and nutmeg. Junglebird ($15) – Grey Goose Vodka, Plantation Pineapple Rum, Cointreau, lime, brown sugar syrup, and Campari-infused ice. Grasshopper ($13) – Hendrick’s Gin, crème de menthe, crème de cacao, cream and soda. This is a traditional Grasshopper reimagined. Made with gin, this version has a nice botanical undercut and makes for a light summer sipper without being overly sweet.